Fresh off the 102-88 victory over the Bucks on Wednesday night, the Knicks return home to take on the newest members of the NBA’s win column, the Washington Wizards. The Wizards won their first game of the season Wednesday, defeating the Blazers 84-82. Tonight’s game is the first of three very winnable games for the Knicks before they travel to Miami and play the Heat in an Eastern Conference showdown. These three games are crucial for the Knicks to avoid those let down games we have come so accustomed to seeing from them over the years. The stretch starts tonight as the Wizards travel to the Garden trying to establish their first winning streak in a decade (not a real stat). The Wizards are 1-12 and are at the bottom of the league in points scored, at just 89.4 per. They then play the Suns in another Sunday afternoon contest at the Garden, there fourth already this season. The Suns currently sit at 7-9 and are coming off of an embarrassing 40-point shellacking to the Detroit Pistons, after which prompted their head coach Alvin Gentry to say they couldn’t have beaten an NCAA team. These two are both winnable games for the Knicks in their home building where they have yet to lose a game this year. The Knicks need to continue to take care of business at home before they hit the road. The final game of this mini-three game stretch before the showdown with the Heat is in Charlotte against the surprising Bobcats. The Bobcats have seven wins this season, matching their total from all of last year. The Bobcats beat the Knicks once last year thanks to their inability to defend Boris Diaw. They play the Bobcats the night before they play the Heat in Miami on TNT, and this one has all the makings of a letdown game. 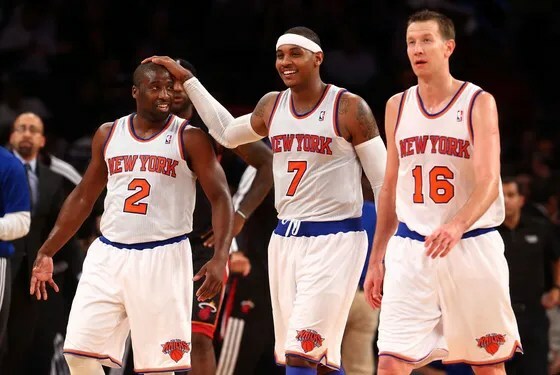 This Knick team feels a little different than in the past though. They took care of business against the Pistons at home in an afternoon game the day before they played the Nets in the much-anticipated New York battle. The combined record of the next three opponents for the Knicks is 15-28, and I would love to see a 13-4 record heading into Thursday’s matchup. It is imperative the Knicks take care of business, especially at home, against the lesser teams in the league. Those are the first steps in becoming an elite team in this league, beating the teams that you are supposed to.